Being a crafts person is always a journey of discovery. You have ideas and plans and think you know where you are going, but it is often the surprise discoveries that determine your direction. 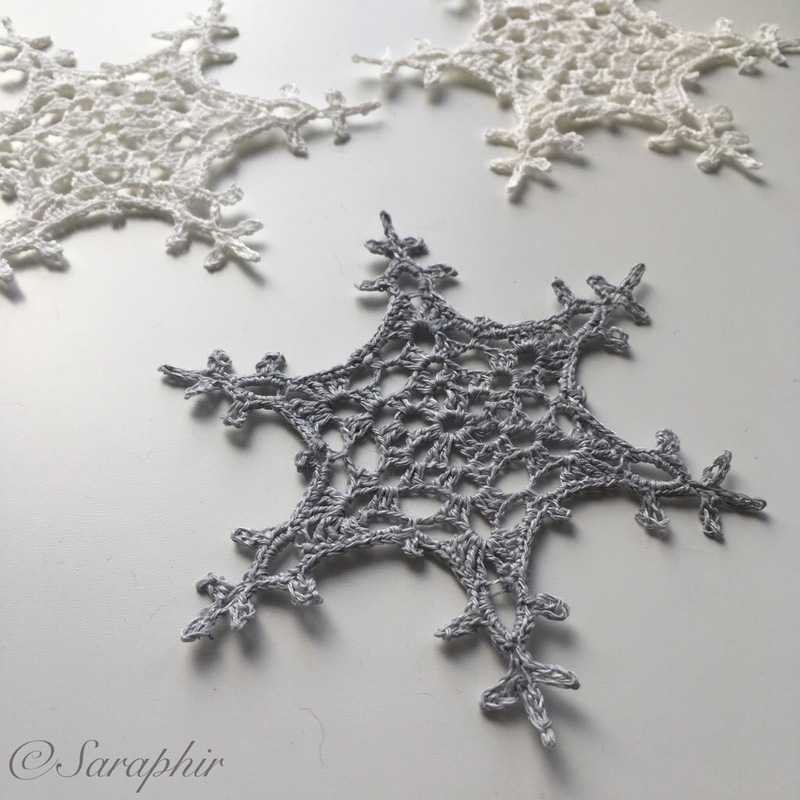 Sometimes you have to search and search to find the perfect thing – in this case yarn – and give up before you then stumble upon it almost by accident! I started making my (as a friend called them recently) happy booties back in the autumn of 2014. 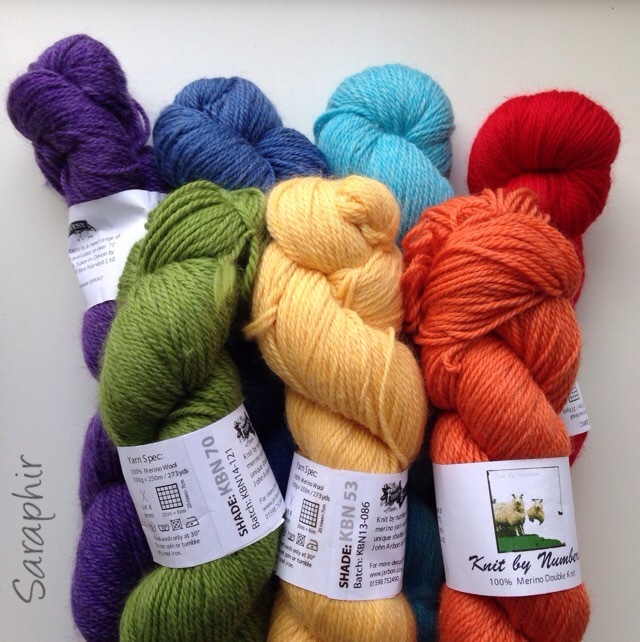 I had finally found a perfect yarn for them – 100% organic cotton yarn made by British company. Alack and alas, it turned out to have been discontinued, so even though I stocked up with what I could find online, I knew I would have to go searching for another perfect yarn at some point. Blue rainbow booties in organic cotton. 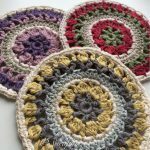 Finding organic cotton yarn is not easy, and finding it at a price where it remains viable to make something as a product to sell is near impossible. So I widened my search and recently decided to start looking into yarn made from superwash merino wool as it will make it easier for parents to care for the booties if they can be washed in the machine. I’ve often heard from customers at markets that this is a priority for most new moms (yes, they always say moms… in Britain… in the 21st century!). 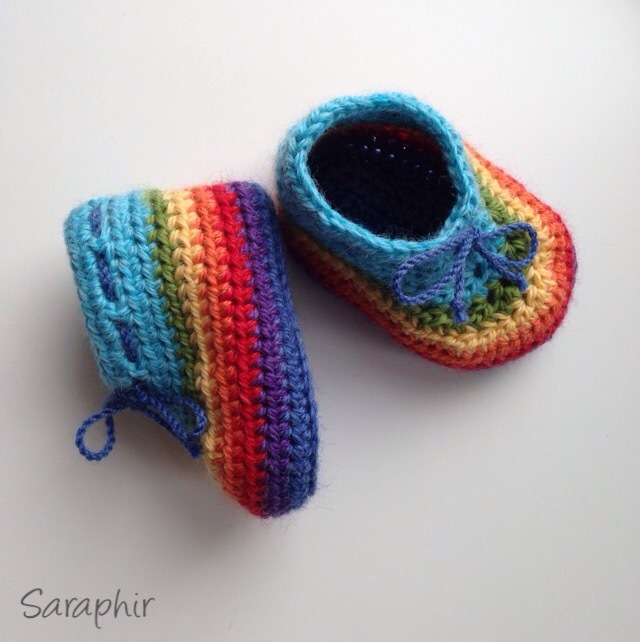 The rainbow booties that I make are very popular, so I had to find a yarn that have the right colours to make a rainbow. I found and tried Patons Extrafine merino DK – a superwash 100% merino wool yarn. 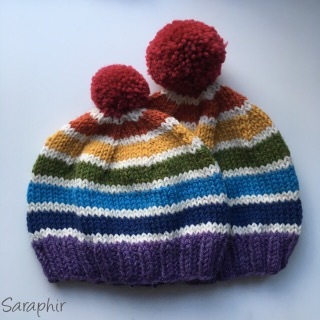 Those of you who have followed me on Instagram and Facebook will know how I have uhm’ed and ah’ed over this yarn… the colours are more saturated and brighter than the cotton yarn, and it just wasn’t quite right. But I thought I had to settle for it and stopped searching. 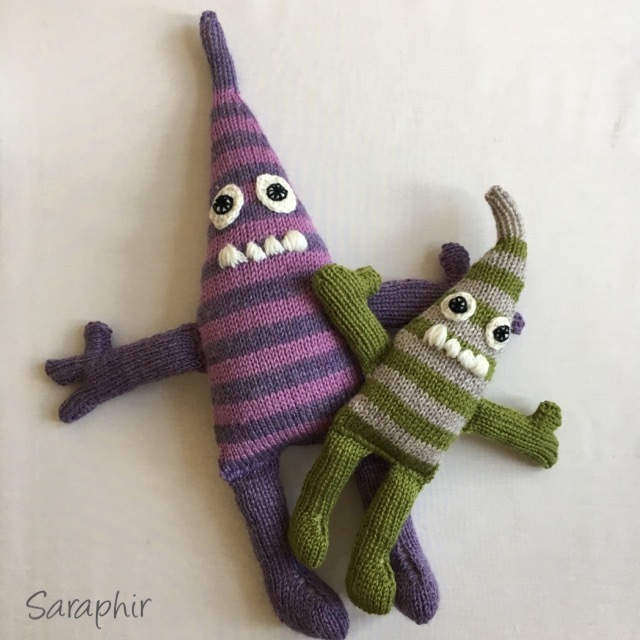 Then in March this year I went to The Edinburgh Yarn Festival – with a very small budget and really only to look and meet people. I walked around everything a few times and the second time I walked through the stand of John Arbon textiles I was stopped in my tracks. 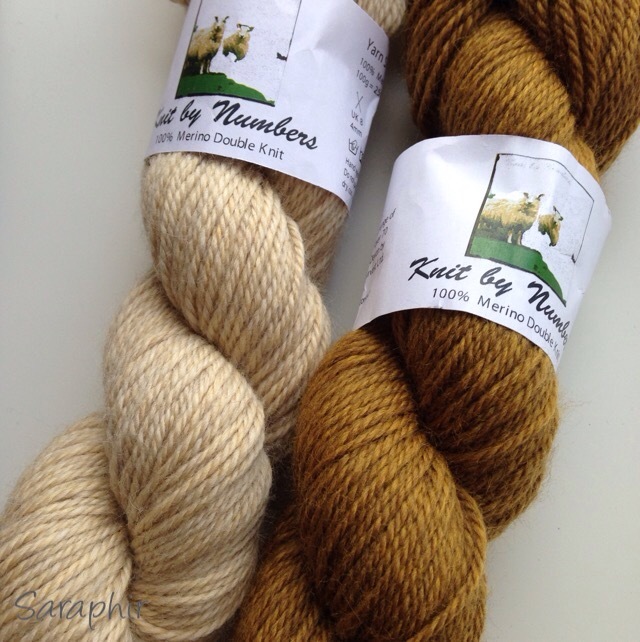 Gorgeous mustard colour yarn up there in the right corner… 100 % merino wool…. 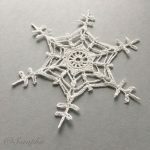 perfect for making a hat pattern. Stood for a while and had a feel, too many colours to choose from – the greys are pretty gorgeous too, so are the browns, what to go for etc. They assured me it will not be discontinued. I finally chose two shades of the mustard. The yarn was so soft I just couldn’t stop touching it and whilst doing this found myself kind of mindlessly staring at all the other 70+ colours. And suddenly the realisation hit me: I could make countless versions of my rainbow booties with this yarn! 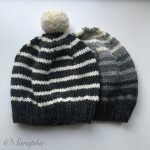 It has the right weight (yardage) and even better, it is spun and dyed in a small mill in Devon by a small company, by people who are devoted to making beautiful yarns and sourcing their fleeces responsibly – and they seemed pretty nice too! So I made a quick business decision and got out my credit card….. When I got home and read through their brochure I discovered to my joy that the yarn is 100% organic! 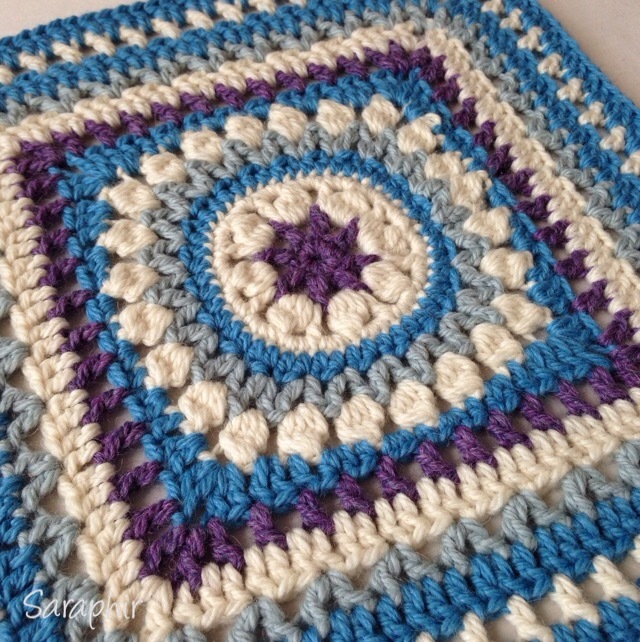 It fits my own ideals and philosophy perfectly (organic, small business, responsibly sourced), the texture is far superior to the texture of the superwash wool (which is not a bad yarn, just not perfect! 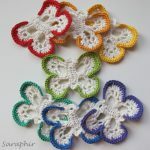 ), and there are 70+ fantastic colours to choose from. And it is just so, so soft. Smooth and soft. And with all this perfectness, what does it matter that new parents will have to sacrifice 15 min every so often to wash their precious one’s booties by hand? 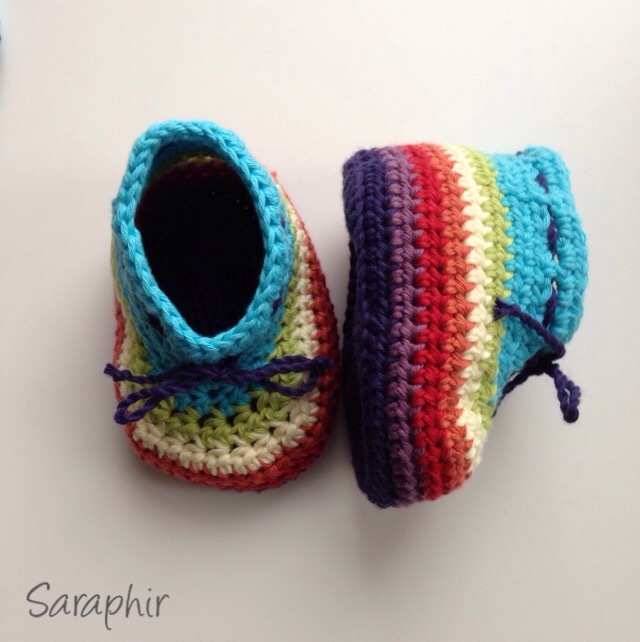 Blue rainbow booties in merino wool.